Breaking a string of 8 “spotless” days, on the Eastern limb of the Sun was a new sun spot AR2625. It announced itself on January 12, exploding solar flare of class C4. The blast force threw a jet of plasma into space, which is photographed with ultraviolet camera aboard the solar dynamics Observatory of NASA. The earth will not feel any influence of this relatively weak flash. The material, which sees clubs from the explosion moves through space too far from the line Earth — Sun to intersect with our planet. During solar maximum the flash produced a small Sunny spot AR2526 not received the slightest attention space meteorologists are tracking more powerful eruptions. But now the number of sunspots dropped so much that scientists even notice the tiny specks. 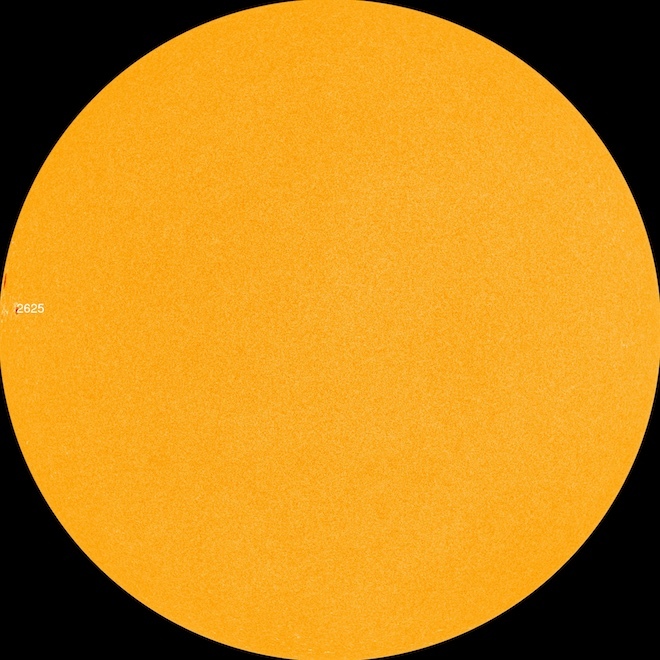 There is a period of solar minimum, and sunspots and flare will subside.